The body of the late singer Anokye Supremo arrived on February 11, 2019, at the Kotoka International Airport. Remedi Entertainment has sighted a video of the arrival of the singer's body which has made its way onto social media. The video shows a coffin arriving at the docks which contain the body of Supremo. 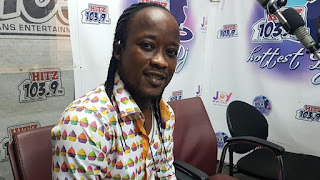 Anokye Supremo passed away in India on January 31, 2019 where had been in comma days after surgery he underwent to remove a tumour in his brain.